Limericks Bill Kurtis reads three news-related limericks: The Truth about Cats and Dogs, Furniture Cast and Lavatory Loudness. SAGAL: ...Our new interactive quiz for your smart speaker. Just say open the Wait Wait Quiz, and Bill and I will be there to ask you some fill-in-the-blank questions. You can even win the voice of your choice on your voicemail. T J: Hey. This is T.J. (ph) calling in from Waterbury, Vt.
SAGAL: Hey. Waterbury is a great place. What do you do there? T J: I groom ski trails for Sugar Bush terrain parks. SAGAL: You're - so you're a ski guy. That's cool. T J: I'm a snowboarder. But yeah, we're up there every night just laying down corduroy for the people. SAGAL: That's really cool. You sound like a snowboarder. I'm just going to go there. BODDEN: ...What would you do with it up there? T J: Oh, man. I'd probably buy 400,000 snowboards. SAGAL: Yeah, I was about to say. MAEVE HIGGINS: Why wouldn't you just get one really big one, though? SAGAL: Well, T.J., welcome to the show. Bill Kurtis is going to read for you three news-related limericks with the last word or phrase missing from each. If you can fill in that last word or phrase correctly in two of the limericks, you'll be a winner. You ready to play? T J: Yeah. Let's do it. SAGAL: Dog owners are happier than cat owners. SAGAL: It turns out it's been proven with a new survey showing how dog owners self-identify as very happy, whereas cat owners identify as very ow, why did it bite me again? SAGAL: The survey found dog owners are happier than those with cats. The survey also found - and this is true - that people with cats are less happy than people who have no pets at all. SAGAL: Now, that doesn't necessarily mean that cats make you unhappy. It may just be that cat owners are miserable losers for entirely different reasons. BODDEN: It's funny how cat people always say that. SAGAL: Yeah, they always do. BODDEN: No, no. My cat is different. No, it's not. BODDEN: No, it's a cat. SAGAL: Yeah. Here is your next limerick. SAGAL: ...From the IKEA catalog, which is a great idea. It's much better than their original idea of reading from the illustrated assembly manual. 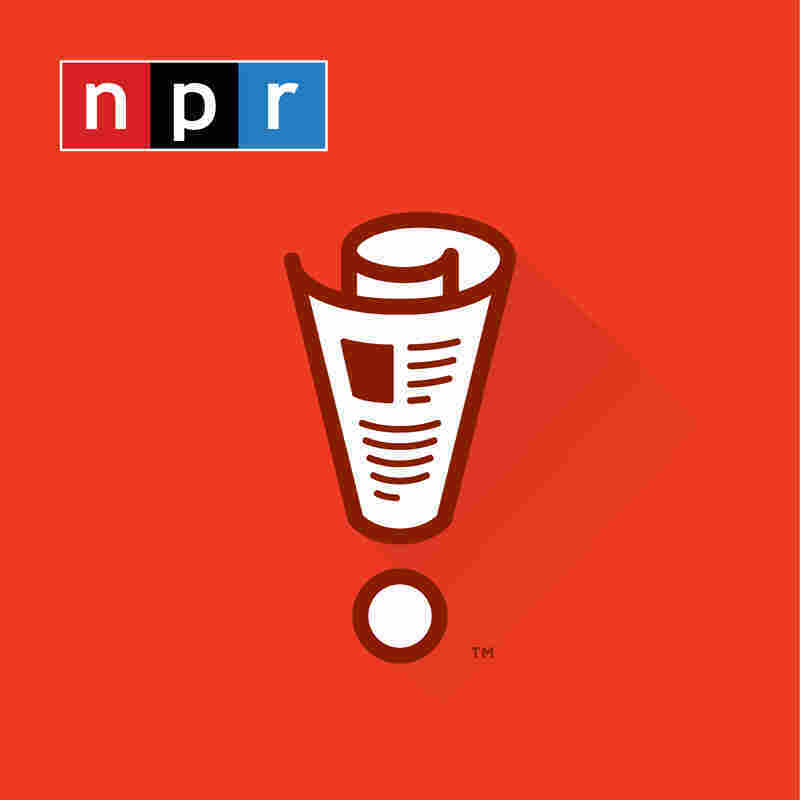 SAGAL: The podcast is advertised as a great way to help people fall asleep. And if you listen to a clip, you can hear why. UNIDENTIFIED PERSON: BJORKSNAS - chest of five drawers. PUDERVIVA - queen quilt cover set. SAGAL: Swedish people reading an Ikea catalogue is truly the definition of white noise. SAGAL: And if this isn't enough for you, you can turn into IKEA's next podcast from Guy Raz, How The Hell Do You Build This? SAGAL: All right, T.J. Here is your last limerick. SAGAL: Physicists are working to improve airplane travel but not by making sure your plane doesn't crash. No, they're trying to make sure the toilet isn't too loud. People have been complaining for years about the deafening roar of the airplane toilet flush, saying it terrifies children and masks the other bathroom sounds they do want to hear. SAGAL: ...Brace your elbows. Unfortunately, they haven't found a way to reduce the sound of the guy in the seat next to you who can't hear himself farting because his headphones are on. SAGAL: Bill, how did T.J. do on our quiz? KURTIS: Three and 0 - did very, very well. JENNIFER LOPEZ: (Singing) Let's get loud. Turn the music up to hear that sound. Let's get loud. Let's get loud.